September | 2012 | Vikings, Books, etc. While my specialty lies more with Old Norse literature and Scandinavian folklore, I do get to work with and teach modern Scandi literature as well, and this year is a big one for Swedish literature. 2012 is the centenary of the death of August Strindberg, the Shakespeare/Zola/Dickens/Ibsen/whoever of Sweden. If you are not a Scandinavian (or a Scandinavianist), you may not of heard of him, or at most, you may have read the play Miss Julie for school, or seen the English language film. Strindberg never achieved the fame of his older Norwegian idol/rival Ibsen, whose A Doll’s House most have run across in high school or college. Strindberg is a much more problematic personality to deal with, admittedly–his take on the “Woman Question” is idiosyncratic and often misogynistic, and his later infatuation with the occult is not particularly accessible, whether in conservative, religious America, or liberal, secular Sweden. Nevertheless, he is seen as a founding father of Swedish literature, and in Sweden they are celebrating Strindbergsåret, the Year of Strindberg. I think it is a bit of a love-hate relationship for many–he is so foundational in the history of Swedish literature, and so intriguing (which he must have known himself, considering how thoroughly he exploited his own biography and character in his work), yet often so distasteful. This describes my relationship with him well enough, actually. There is a definite lure, both because of his canonical status in this (mildly) peripheral national literature and because of the Medusan way in which he transfixes us as a character, as a “Figure of the Author/Artist.” That said, many of his Naturalistic dramas, along with Giftas (Getting Married) are just too depressing for me (perhaps I am just not a fan of Naturalism). OK, maybe that’s what I signed up for, getting into such a melancholy field as the study of Scandinavian literature, but the ranting and raving is a bit too much occasionally. 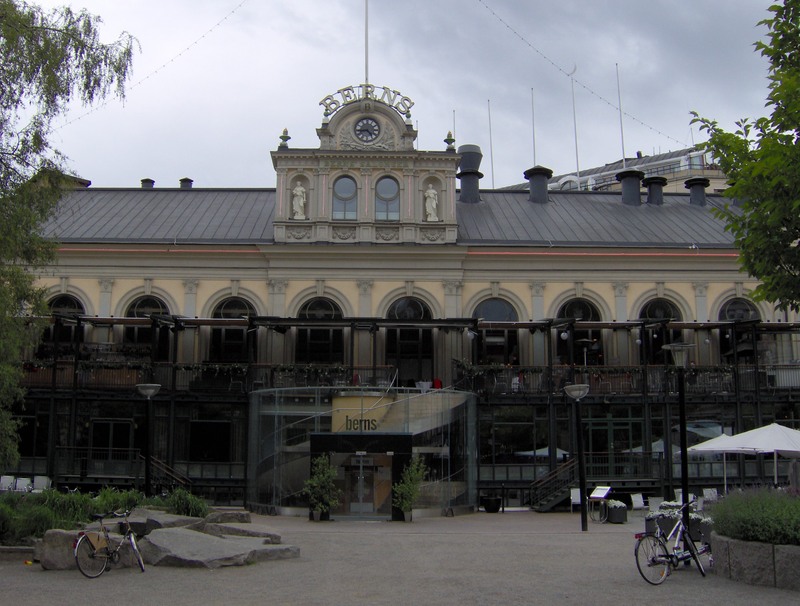 Berns salonger, location of “The Red Room” of the novel. I have not read a huge percentage of the (prodigious) Strindbergian corpus, but I have enjoyed (among a few other texts) his first novel, Röda rummet (The Red Room). It is still depressing, but more accessibly so– Ulf Olsson calls The Red Room “one of Strindberg’s happy works: happy to fight a society that is hypocritical, corrupt and conservative,” although he also notes that “in his writing we also encounter what Leo Löwenthal called ‘the breakdown of liberal confidence” (Cambridge Companion to August Strindberg 2009:37). The novel is a Bildungsroman of sorts, set in Oscarian Sweden (approx. equivalent to Victorian England, time-wise) and following the growth of the protagonist Arvid Falk as he strives to make a difference in this “hypocritical, corrupt and conservative” world–but Falk has still not entirely “arrived” by the time we get to the end of the story, and plenty of the “liberal” efforts that show up in the novel are portrayed as corrupt and problematic themselves. The novel does not exclusively follow Arvid Falk, and we get to briefly and intermittently follow a wide variety of characters throughout the novel, from starving artists and craftsmen to corrupt and greedy businessmen (such as Arvid’s brother, the unfortunately named Carl). At times Strindberg’s points are made through the ironic presentation of the thoughts and actions of more or less corrupt characters, and at times it feels as though the characters “speak for” Strindberg, to a degree. The texture of the novel is a bit polyphonic in its mode of narration, at times 3rd person omniscient, at others epistolary/first person. Göran Hägg, in his Den svenska litteraturhistorien (The History of Swedish Literature), seems a bit unimpressed: “The Red Room is, by European standards, not a remarkable novel,” just a sloppy revisiting of the usual Bildungsroman material, an unworthy imitation of Tom Jones, David Copperfield, etc. 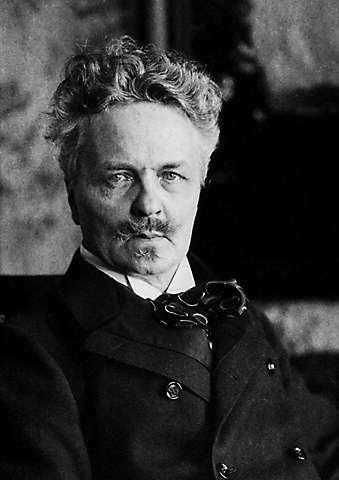 “All in all, Strindberg never managed to master the technique for longer narration in the third person. [His] technique is extremely primitive– an omniscient commentator as narrator, who also uses letters and theatrical asides from the characters” (1996:313, my own [very hasty] translations and paraphrasing). To be honest, I am not particularly bothered by these differences– it seems to me that Hägg is more concerned with (and embarrassed by) Strindberg’s place in a teleological narrative of the European novel, with contemporary novelists like Hägg himself at the conclusion (though let me admit right here that I have not yet read any fiction by Hägg). Well, that’s unfair of me– I can’t say that I am completely satisfied with the novel myself. It does not provide the same degree of closure that I am used to (but then again, I grew up on Fantasy and Science Fiction, which is much more about closure than 20th century “art” literature is), and the switch to an epistolary mode does feel a bit arbitrarily done– but I don’t think we need to put down this shifting between narrative modes just because we are accustomed to a more unified approach, and I don’t mind so much that dramatist Strindberg’s novels often feel more like descriptions of scenes in a play than chapters in a novel–it’s different, and I like that, when it comes off. It reminds me a bit of CJL Almqvist‘s Drottningens juvelsmycke (The Queen’s Diadem), which dates earlier and also feels a bit diverse to those raised on the “standard” novel. I think Olsson has a nice take on Strindberg’s novelistic art: “Strindberg’s novels are restless and versatile, but sometimes also confusing and even tedious. They can be charged with ideological prejudice but are also sharp-eyed anatomies of the modern subject under construction. Sometimes Strindberg uses prose fiction as a means of disseminating ideology; at other times he seems to be learning to speak in these texts, reaching for new literary forms and modes of literary language” (2009:37). 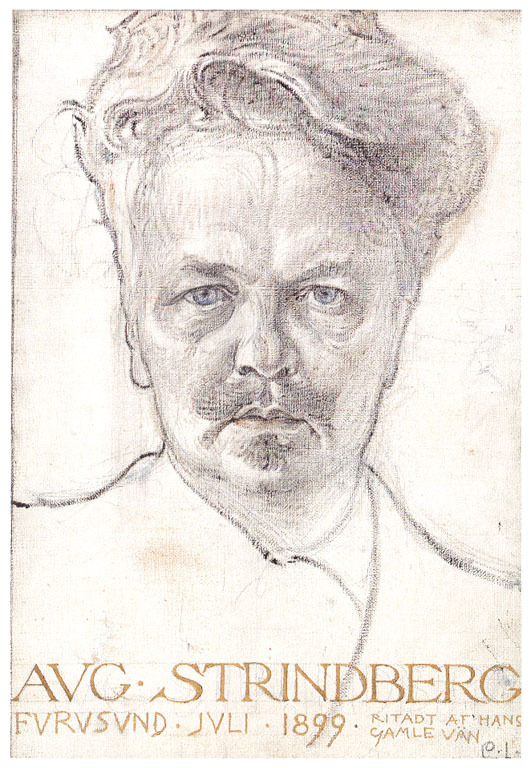 A portrait of Strindberg by the famous Swedish artist Carl Larsson (perhaps best known in America for his watercolors of his home and family life). Larsson and Strindberg were both part of an Swedish artists colony outside Paris. For introductory secondary reading, I recommend the recent The Cambridge Companion to August Strindberg, ed. Michael Robinson. The articles are erudite yet accessible, and include a discussion of Strindberg’s self-dramatization by Linda Rugg (one of my former professors at Berkeley) and the above quoted discussion of Strindberg as a novelist by Ulf Olsson (who shared an office with me as a visiting scholar at Berkeley–and yes, a picture of Ashely and Mary Kate mysteriously showed up on our door one day…). Ulf’s article gives a more detailed reading of Röda rummet, including some great insights regarding the coupling of language and power in the novel. I highly recommend the book, whether you buy a copy or check it out from the library. For another great Strindberg scholar who came out of Berkeley, check out Anna Westerståhl Stenport. We unfortunately do not have much going on for Strindbergsåret here at Gustavus– 2012 has involved a lot of transition in the Scandinavian department, and none of us at the moment are Strindberg experts. There is something coming up in a couple months through the drama department, I believe– but I will have to post about that when I have some more details! And last but not least, let me force on you this ingenious melding of paleontology, HP Lovecraftian mythos, 80s era Nintendo, Spanish, and classic Swedish literature. This is one of those things where you just can’t stop thinking “Why didn’t I think of that?? ?” Oh, and there is also Strindberg and Helium, which I have never found time to dig into very much, but which seems pretty cool in its own way. OK, and here are some more “serious” Strindberg links: a famous short story, a “Strindberg is awesome even if you aren’t Swedish” site, and a cartoon that I just found out about and haven’t read yet.